Our high efficiency Don Young Company Single Hung Window series represents the best in energy efficiency and low maintenance for your home. 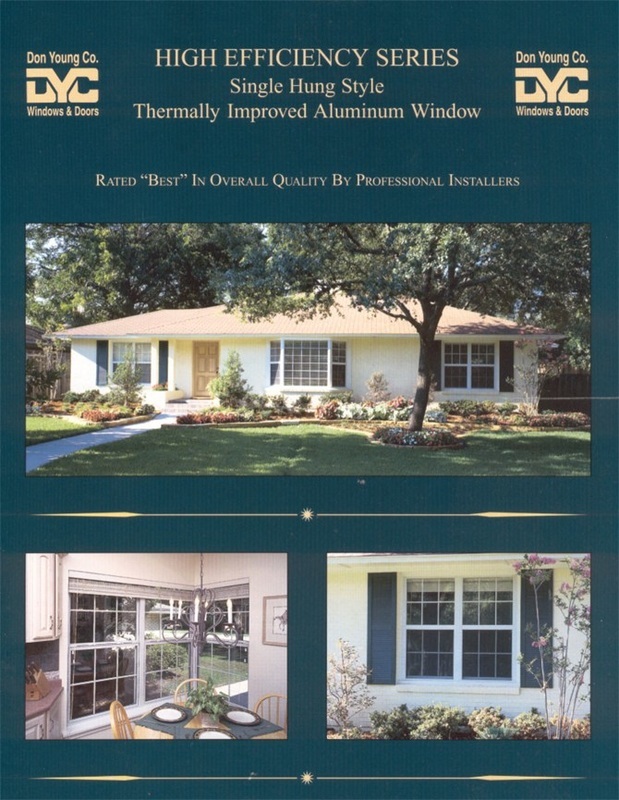 Since more than 30% of your energy bill can literally go right out the window, a tremendous amount of time and effort has gone into designing this window for maximum energy efficiency and low maintenance – resulting in high quality aluminum windows that exceed the performance of other typical aluminum windows on the market today. Strong, rigid and durable, these thermally improved single hung replacement windows will give you long term trouble free performance. 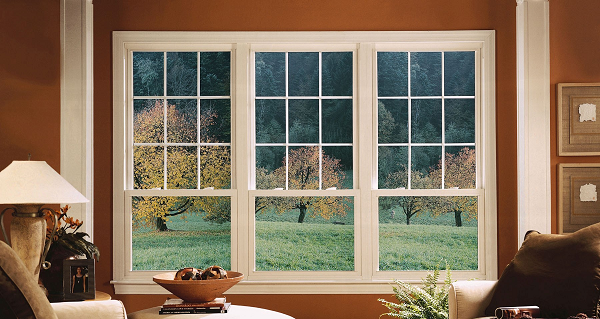 ​Our high efficiency series represents the best in energy efficiency and low maintenance for your home. Since more than 30% of your energy bill can literally go right out the window, a tremendous amount of time has gone into designing this window for maximum energy efficiency and low maintenance-resulting in a quality window that exceeds the performance of others typical aluminum windows on the market today. Strong, rigid and durable, our thermally improved aluminum windows will give you a long term trouble free performance. Heavy Gauge Aluminum 20% more than most builder grade windows-this ensures structural integrity even on the largest of windows. Interior Aluminum Glazing Bead makes it impossible to remove the glass from the outside to gain entry. A good security feature. Child safe tilt latches prevent children room accidentally tilting in operating sashes-also allows for easy clearing. Adjustable self lubricant spiral balances with color coordinate cover ensures years of trouble free operation. Electrostatically applied paint – a superior paint finish that bounds to the aluminum for a hard smooth finish – available in white, bronze, almond. One hundred percent thermally improved sash & frames separated by high density polyurethane – greatly reduces heat and cold transfer through the aluminum, significantly more thermally efficient than non thermally improved aluminum. “Energy Seal” weather-stripping allows us to have one of the lowest air filtration ratings in the industry – over 70% more air tight than industry standards. This mean no drafts, less dust, and less energy loss for your home. Swiggle Seal technology used in manufacturing insulated glass is a reinforced polymer with a very low thermal conductivity. This means reduced heat and cold transfer through the edge of the glass unit. All these features make our window energy efficient and an excellent sound barrier. We promise you’ll enjoy less noise pollution as well as less energy consumption.